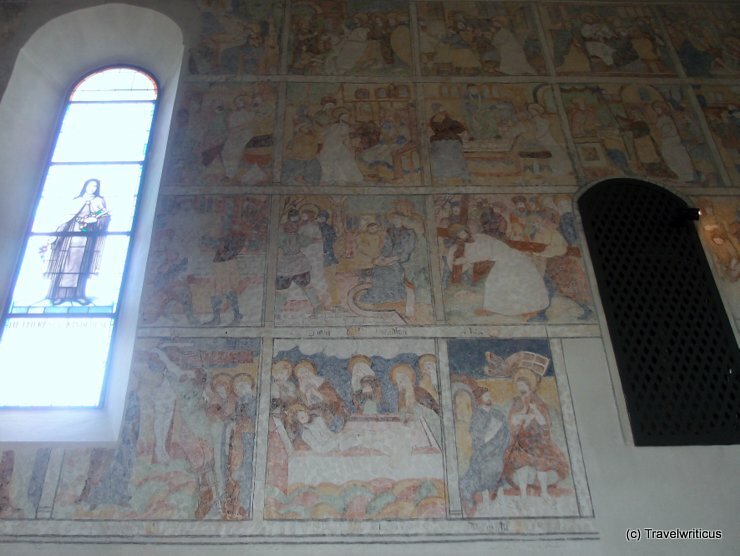 Inside one can see some amazing late Gothic frescoes which reminded me of a medieval comic strip. 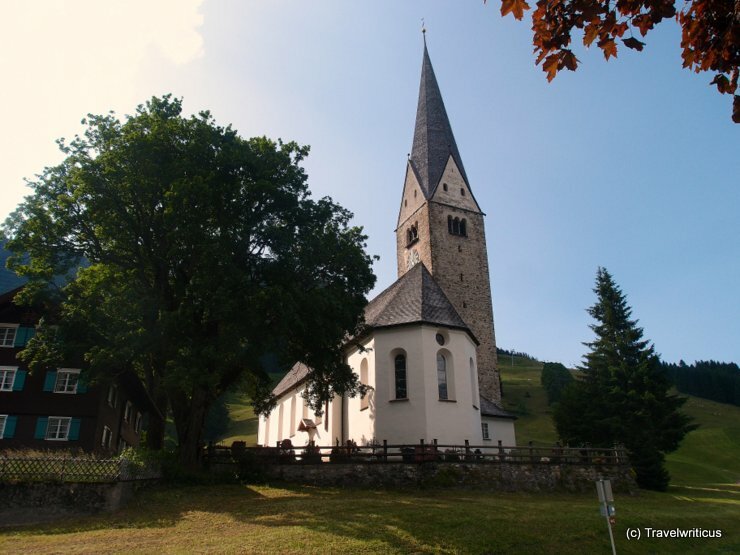 This entry was posted in Churches and tagged Austria, Kleinwalsertal, Mittelberg, Vorarlberg by Travelwriticus. Bookmark the permalink.